On Story Of Hindu Monk"
-National Public Radio (NPR) & WUNC News Radio, Raleigh, NC..
February 20, 2014, 12:04 pm. 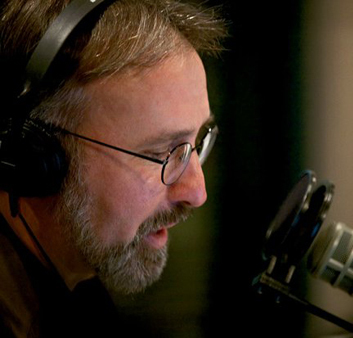 Manick Sorcar and Pravrajika Brahmaprana, the ordained Sannyasini of the Vedanta Society of South California Ramakrishna Mission, were invited to be on the popular "The Stage of Things" show of NPR & WUNC News Radio, hosted by Frank Stasio. It was regarding the upcoming "Swamiji" show at the Duke Energy Center for Performing Arts in Raleigh, NC, on March 8, 2014. Manick Sorcar joined the show over phone from Denver. "If you are going to Yoga today, you can thank Swami Vivekananda. The Hindu monk is credited with bringing Yoga to the West along with the Indian philosophy of Vedanta. 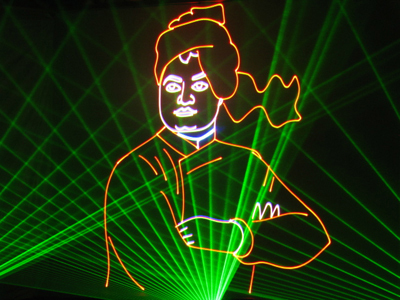 A laser show, "Swamiji" highlights his life and work at the Duke Energy Center for Performing Arts in Raleigh. 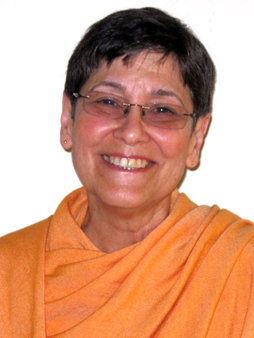 Host Frank Stasio talks with Vedantan nun Pravrajika Brahmaprana and show creator Manick Sorcar about Vivekananda's life and lasting influence". 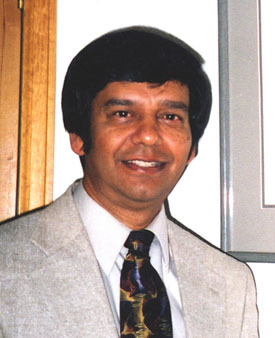 -NPR & WUNC News Radio, Raleigh, NC..
of Ramakrishna Vedanta Society of North Carolina.